The events in the last three weeks has left the country in shock, and Sri Lanka becoming the laughing stock around the world, and setting the scene for a major economic collapse. We have observed the recent parliament sittings, the many “press conferences” from all sides, some full of lies and fake facts and one sided justifications. What examples would our children draw from seeing all this? Can they differentiate right and wrong, truth and lies, and correct democratic procedures? In addition to the politicians, various priests and unknown pseudo professional organisations are giving one sided opinions, making further confusion. The timing of all this was bad for the country. The first time ever LONELY PLANET the renowned travel magazine ranked Sri Lanka as the No:1 country to visit in 2019. We spent millions re-branding Sri Lanka as a travel destination and the new logo “So –Sri Lanka” created by J. Walter Thompson at a cost of USD 2 Million was launched in London on 5 November 2018. Last year tourist arrivals YOY have seen an increase of around 12%, and a major tourism boost was evident. Tourists seeing our law maker performance in parliament (knives, chilli powder, assaulting Policemen, breaking and throwing chairs and missiles), would draw conclusions on the law and order situation in the country, and would have serious safety concerns about visiting Sri Lanka. This safety concerns cannot be wiped out by spending another US$ 2 Million on a publicity contract. The economic benefits of the EU GSP plus concessions were just kicking in. The Apparel sector is witnessing a 12% YOY growth. Once banned fisheries exports were returning to pre-ban levels. Due to short-sighted and selfish actions of our politicians, the country risks losing all these potential economic gains. The negative impacts of the recent events are far reaching. The US$ which was Rs. 173 a month ago has jumped to Rs. 181- the highest depreciation we have seen in a month. Rating agencies have downgraded the country standing and the rating of three major Banks. IMF and some donors have suspended funding. Some countries have requested us to follow the democratic practices (hinting that we are not following such practices). The possibility of losing the EU- GSP plus and Sri Lanka entering the EU embargoed countries list are on the horizon. At the domestic level, there is social disorder and possibility of reviving the once settled religious and ethnic conflicts. The core issue is the selfish and thugs like behaviour of some of our elected MPs. We saw the pandemonium in parliament. Knives, chilli powder, chairs and books thrown around, injuries caused to MPs and Police officers attacked. Among this chaos, I see two silver linings that demonstrate all is not lost and there are gentlemen politicians others can emulate. First is HONORABLE Kumara Welgama MP. 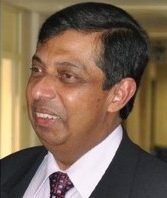 He gave an excellent interview on 21 November 2018 on Daily Mirror titled “Sirisena has a hidden agenda”. During the chaotic parliamentary events, Hon Welgama made a number of comments to the media. 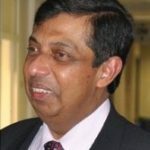 First that if the SLPP/SLFP faction has no parliament majority, Mahinda Rajapaksea should resign and contest the parliamentary election scheduled in 2020. Second, that looking at the shameful performance in parliament, foreign countries should consider travel bans on those misbehaving MPs (I sincerely hope this could happen). While the SLPP plans to take power was brewing few months ago, Hon. Welgama was the lone voice against this action. From the outset he said “if we do not have 113, let us wait for another 18 months and face the new election”. He also said, “if Mahinda Rajapaksa wants to be in power now, I would vote in favour, but will not take any Ministerial posts and would sit in the opposition”, demonstrating his loyalty to the former President. He was criticised by a number of SLPP MPs in press conferences. Mr. Welgama in his Matugama speech on 17 October 2018, gives a solid answer to the critics and exposes their dubious actions. Hon Kumara Welgama- hats off to you and hope other parliamentarians would follow your well demonstrated principles. The second silver lining I see is the JVP. Through their recent parliamentary speeches and TV talk show inputs , they presented solid analysis, arguments and explanations on the current crisis. They refer to the constitution, Parliamentary procedures and past practices and clarify to us what is right and wrong in very clear terms. Anura Kumara Dissanayake, Vijitha Herath, Bimal Ratnayake, Sunil Handunheththi, Nalinda Jayatissa etc. were making significant interventions on the current crisis in a logical, calm and factual manner. This JVP performance reflects the educational background of the JVP membership. All are graduates in Engineering, Medicine, Physics, and Commerce etc. An educated lot that behaves in an calm and logical manner. The current crisis arises from the following: “Ninety four MPs have not passed their GEC (O/L) examination while there are only 25 graduates among the 225 legislators in the present Sri Lankan Parliament” former Chancellor of the University of Peradeniya (Daily News 15 March 2017). Instead of graduates we have kassippu mudalalis, drug dealers and thugs acting as MPs. No wonder the country is in this state !! !